Joan W. is one of those people who is always on the go, all the time. She goes to the gym. She walks everywhere, teaches yoga full-time, and, until a few years ago, she was a professional dancer. She danced professionally throughout her twenties and early thirties and is recently retired. About five years ago, Joan and her husband moved from New York to D.C., so it seemed like a good time to explore opportunities beyond dancing. She started teaching yoga, which provided a comfortable transition from dancing. At that time, her hip pain was still manageable but she could tell that her range of motion had declined noticeably. From that point until about two years ago, her range of motion went from bad to worse—she was walking with a limp and simply getting around was extremely painful. Joan knew that she needed to see a doctor soon. She put some feelers out and a name that kept popping up was Dr. Anthony Unger of Washington Orthopaedics & Sports Medicine. She even learned that several of her yoga students who had hip replacement procedures all had them performed by Dr. Unger and spoke very highly of him. She did some online research as well and what she found reinforced what she had been hearing. Joan scheduled an appointment with Dr. Unger. Not surprisingly, he recommended bilateral hip replacement surgery. “Even though I knew that this day would come sooner or later, it still took awhile for me to get my head wrapped around the fact that I needed to have both hips replaced so soon,” she said. The day after the procedure, Joan was up and walking around the hallways of the hospital. After two days, she was able to go home. She took four weeks off from work and her physical therapy routine during that time was primarily building up the distances she could walk each day. 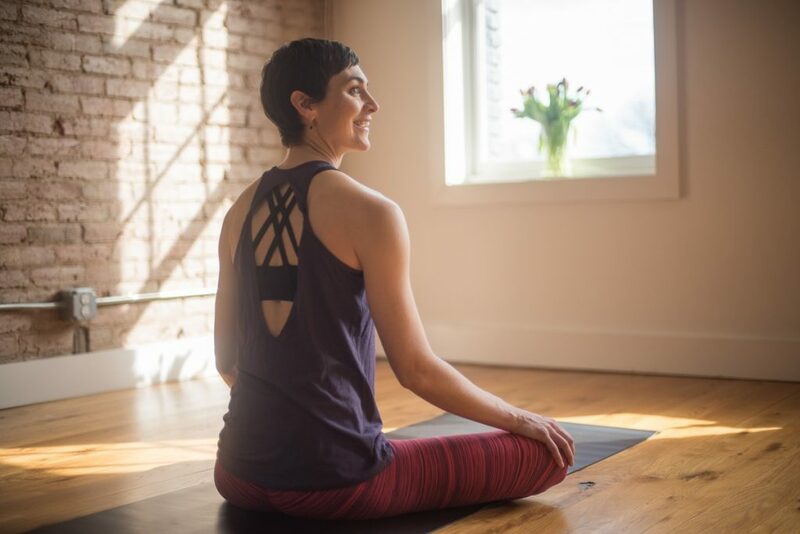 When she returned to work, she provided mostly verbal instructions during her classes, but two weeks later was practicing yoga again—and even commuting to work on bike as she did before. In fact, during her recovery, Joan realized that she even had to get her body to “unlearn” the limp she had before the surgery. It was so ingrained in her body that her physical therapist worked with her to get her glutes and hips to function again in the manner of a normal stride. Overall, Joan described her experience, under the circumstances, as great from start to finish. Her advice for patients considering a hip or joint replacement would be to not put it off any longer. For more information about hip injuries and surgery, email us or request an appointment.